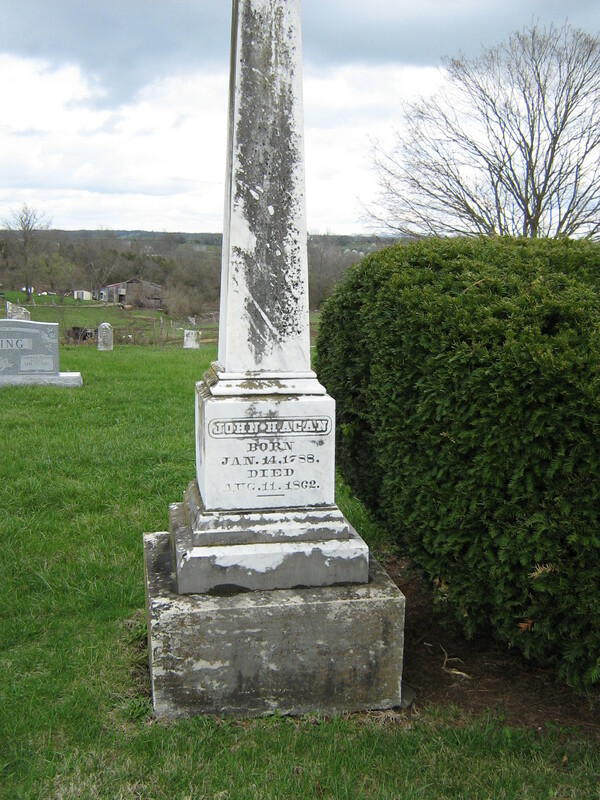 Buried in Evergreen Cemetery in Southgate, Campbell County, Kentucky, is the family of George and Jane Harrop. 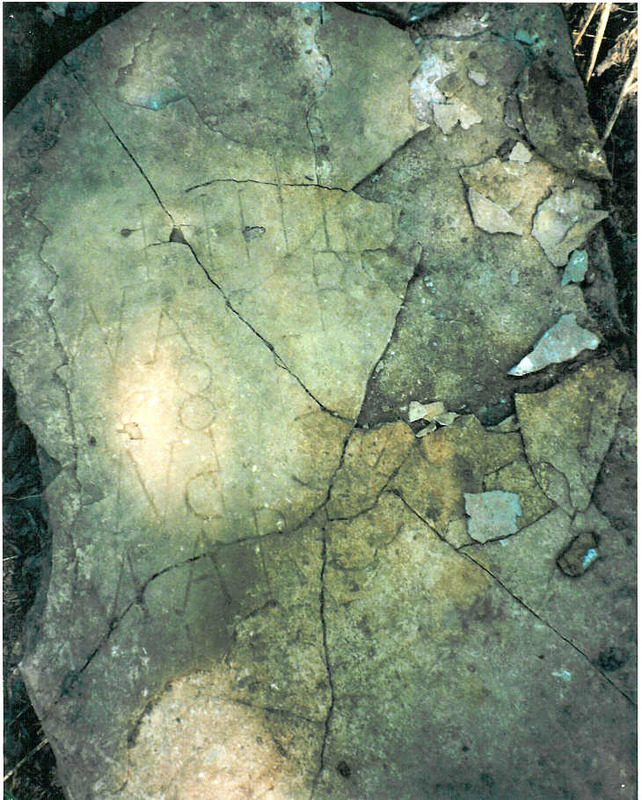 Their large stone is a reminder of this young family who came from England to the United States in 1841. On the Manifest of Passengers of the ship Parthenon are listed George Harrop, 23; Jane Harrop, 21, and Sarah Harrop, nine months. They brought with them packages of clothing and bedding. They arrived in New Orleans from Liverpool, England, March 20, 1841, having left Liverpool on January 26th. During this time a steamboat voyage across the Atlantic could take six to fourteen weeks, depending on the weather. 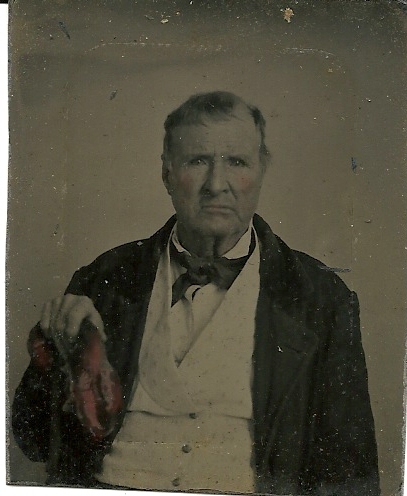 The ship’s master was Samuel T. Woodbury. The young couple and babe must have taken a steamer from New Orleans to Cincinnati, for in the 1850 census George and Jane are living in Hamilton County, Ohio. Baby Sarah died before this date. One child, Mary Elizabeth, is listed at 6 years. George is listed as a stone cutter. In the next decade, 1860, George and Elizabeth are living in Campbell County, Kentucky, per the census record. George is 42 and his occupation is listed as huckster. Knowing the connotation of the word today, I felt there had to be another definition in that time period. A huckster was a door to door salesman, or one who had a small booth or shop. Jane is 40, and daughter Mary Elizabeth is 15. 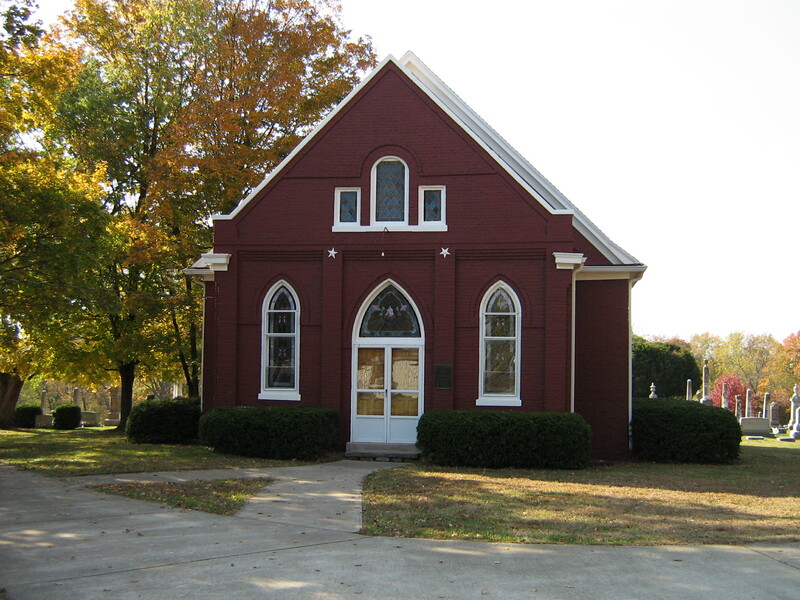 Beginning in 1861 and for the next successive ten years, George Harrop is listed in the Covington City Directory. His address is 72 East Row, Newport, and his occupation is stone cutter. 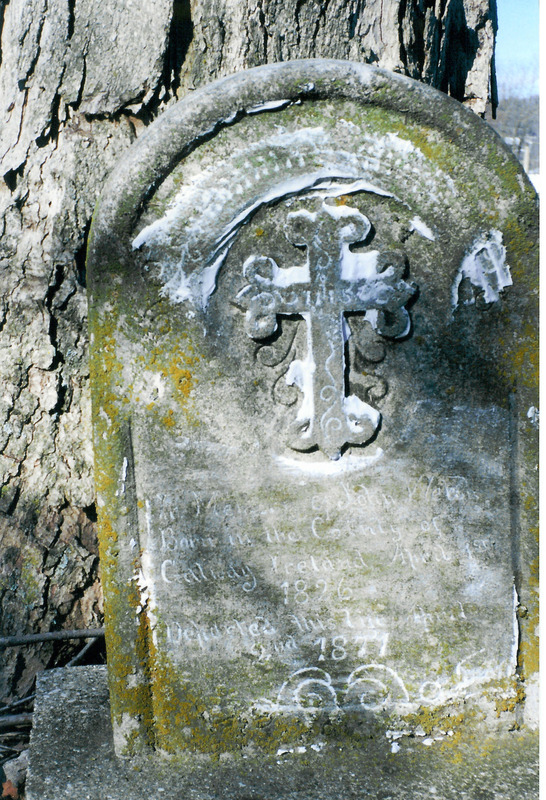 Mary Elizabeth Harrop died September 8, 1866, at the age of 22 years. 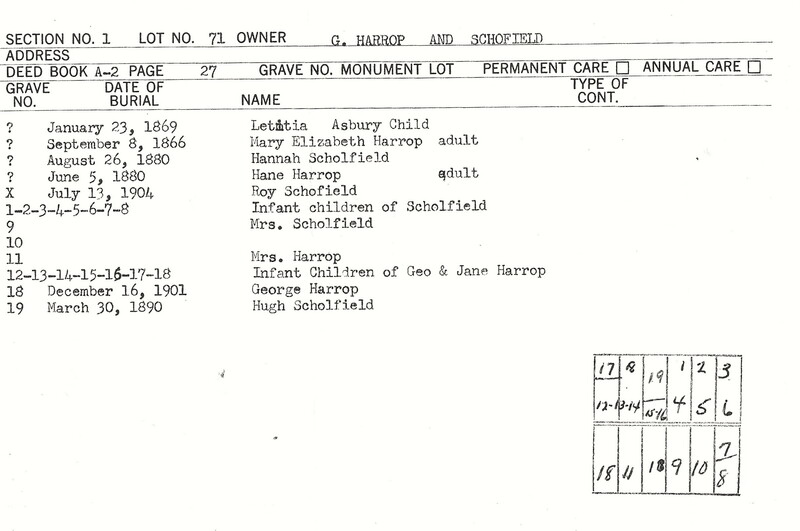 I do not know a cause of death but found her date of death on the cemetery page for lot #71, owner G. Harrop and Schofield. 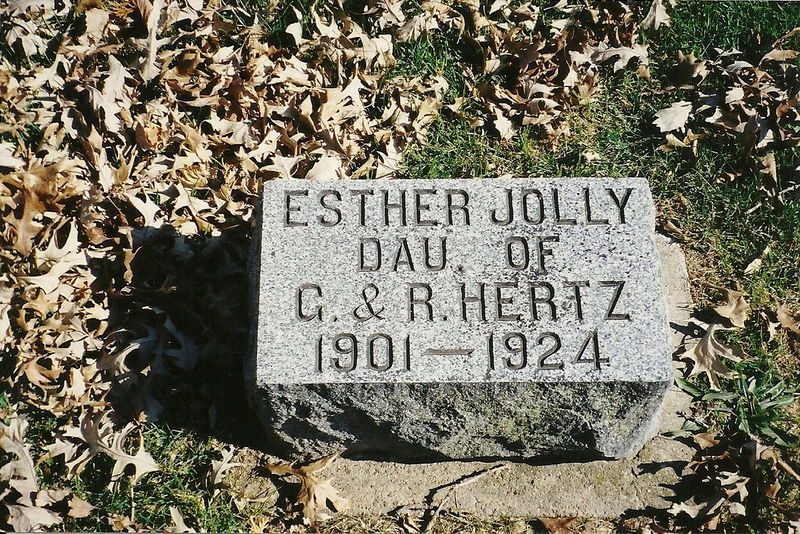 According to the record, she was first to be buried in the family lot. 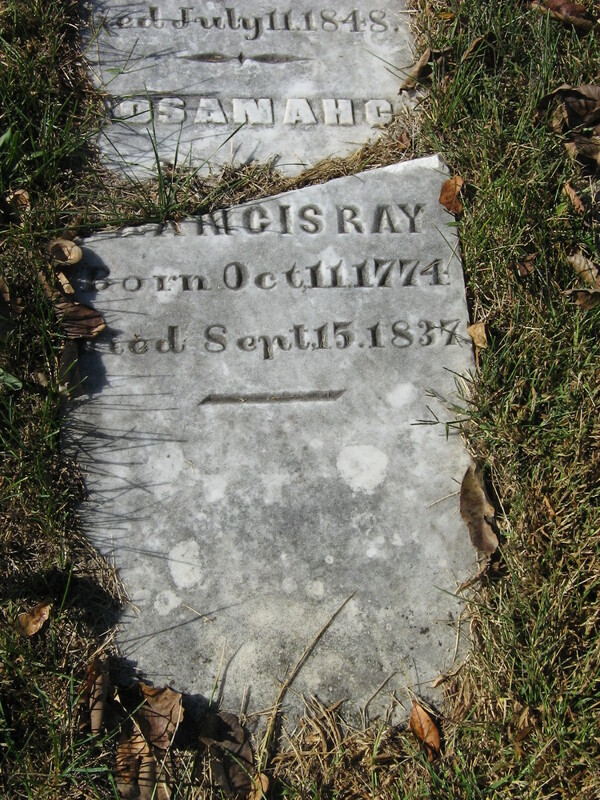 However, we know that one daughter, Sarah, died before the 1850 census was taken. 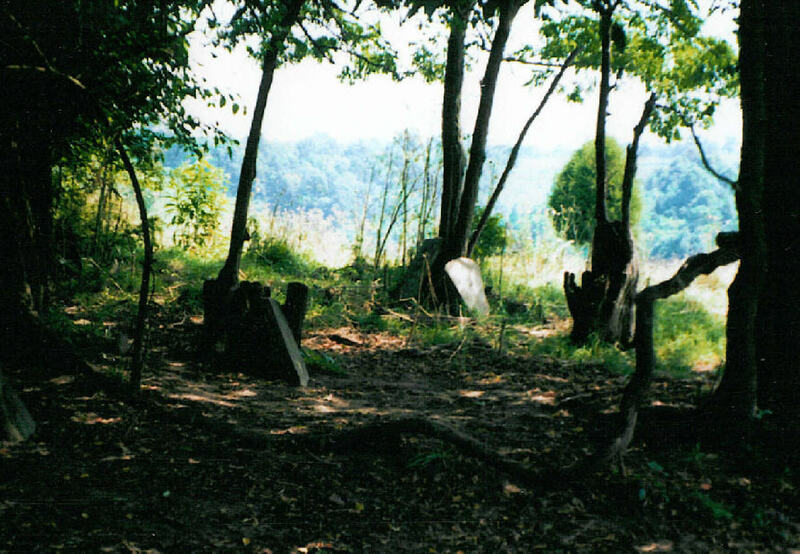 Was she buried in the Cincinnati area, Hamilton County, Ohio, as that was where the family resided at that time? 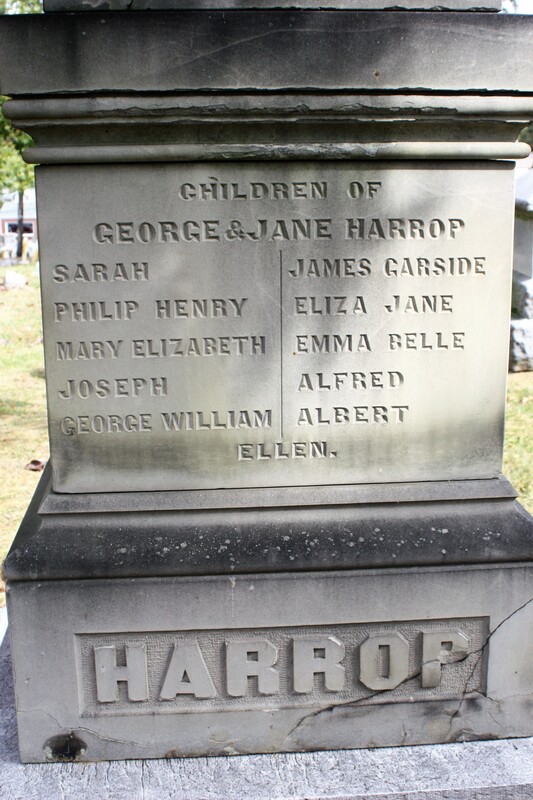 The more interesting part of the cemetery page is it lists the burial of infant children of George and Jane Harrop in sections 12, 13, 14, 15, 16, 17 and 18. It is hard to imagine that many children dying at such a young age. Yet if we check one side of Harrop memorial, all those children are listed by name. 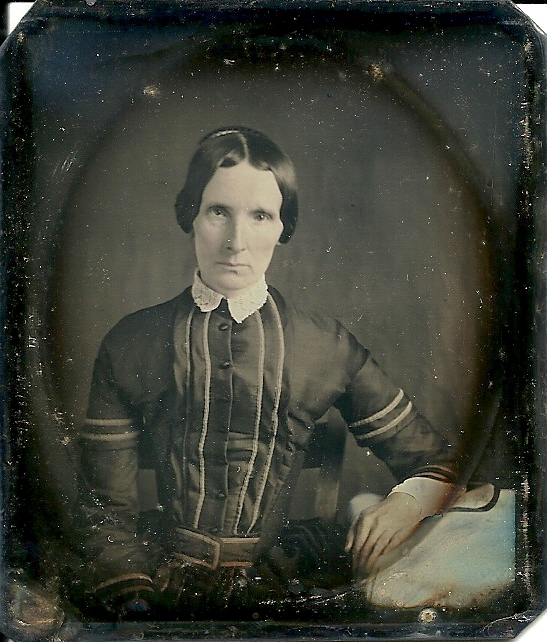 One adult daughter, Mary Elizabeth, and ten younger children – Sarah, Philip Henry, Joseph, George William, James Garside, Eliza Jane, Alfred, Albert and Ellen. That just breaks my heart to see so many little ones who died with so few birthdays celebrated. But at the same time, we have this loving memorial, with the names, many of which we would not know by any other record. 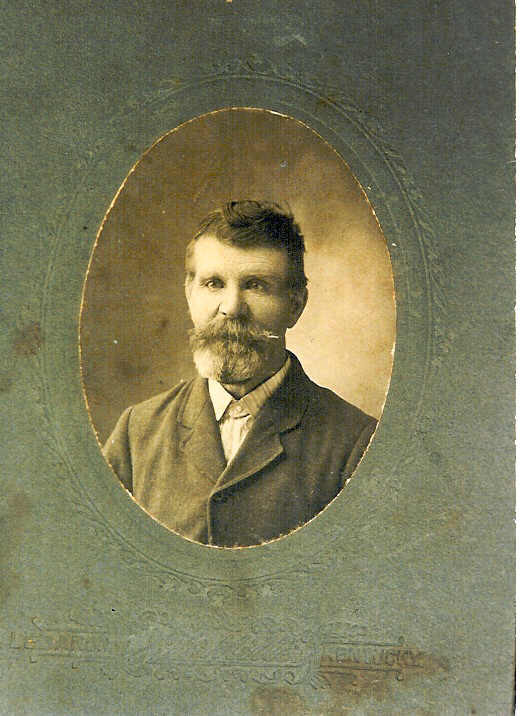 A son, Charles Edwin, was born in 1863. 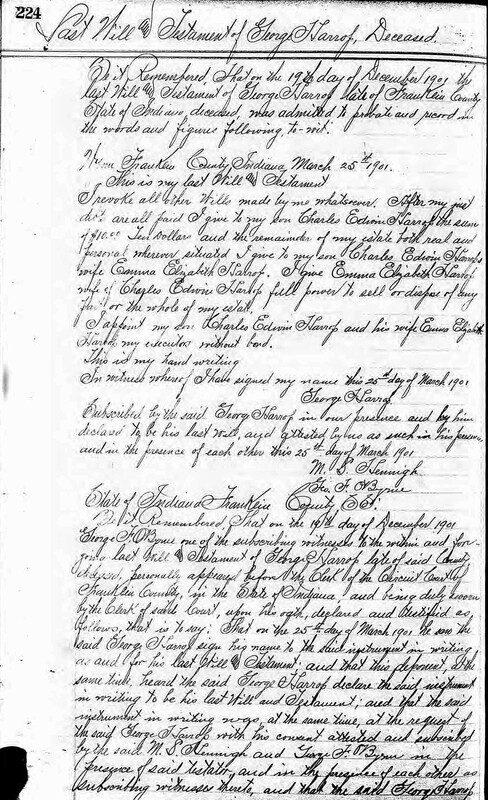 He is in the 1870 Campbell County census, with his parents. However, this listing is very strange. The father is listed as John Harrop, 51, a stone cutter, born in England; Jane, 50, born in England; and son John, 7, born in Kentucky. This is evidently our Harrop family, but why is John listed for father and son – instead of George and Charles? Did the census taker make a mistake, wasn’t listening carefully? There are too many coincidences with the earlier records – it must be them. 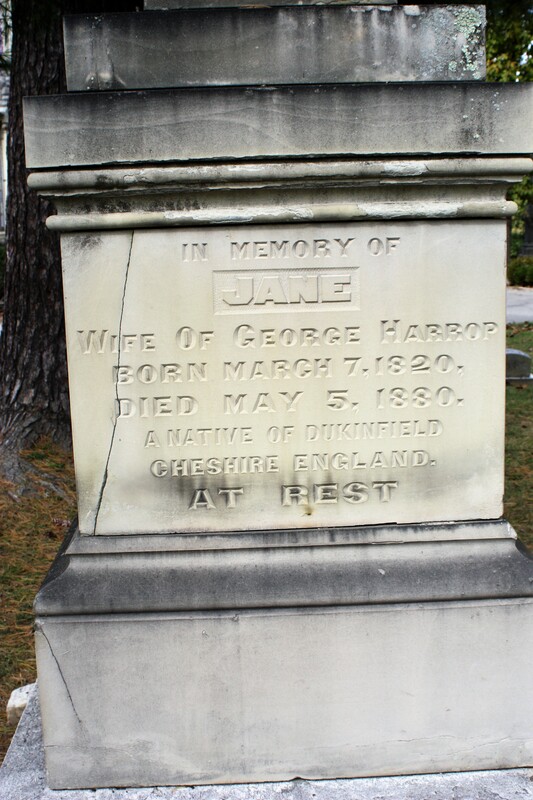 Jane, wife of George Harrop, born March 7, 1820, died May 5, 1880. A native of Dukinfield, Cheshire, England. 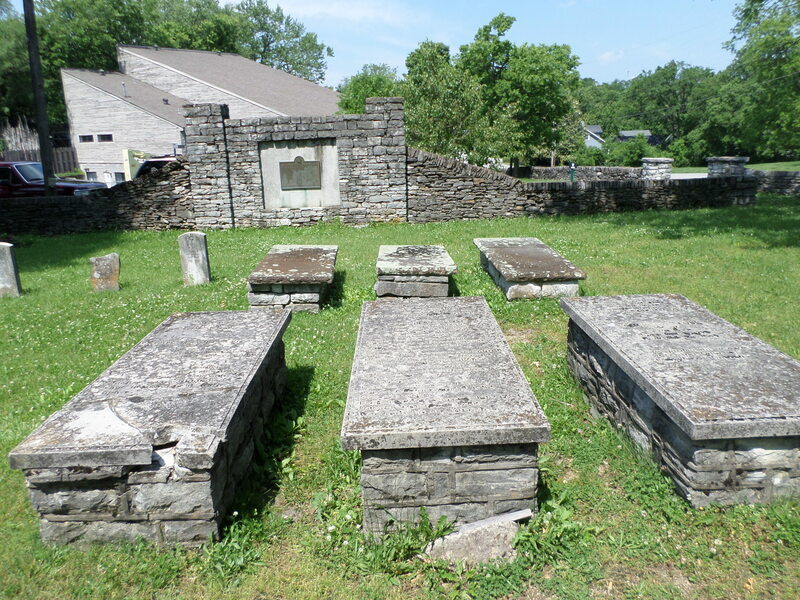 Evergreen Cemetery, Stonegate, Campbell County, Kentucky. 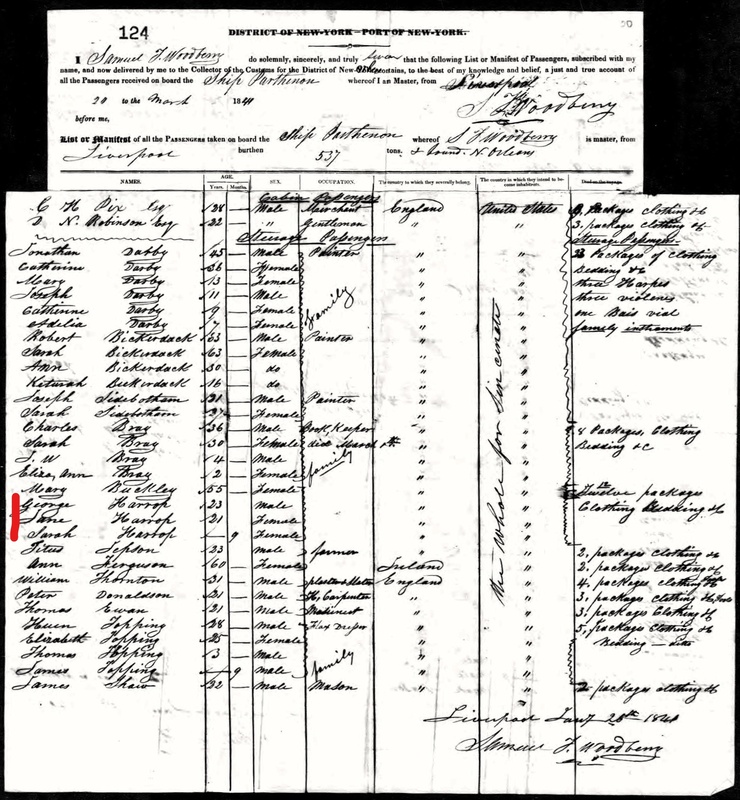 May 5, 1880, Jane Harrop died, just before the census was taken on June 10th. George is 61, a stone cutter; Charles is 18, works in a watch case factory. 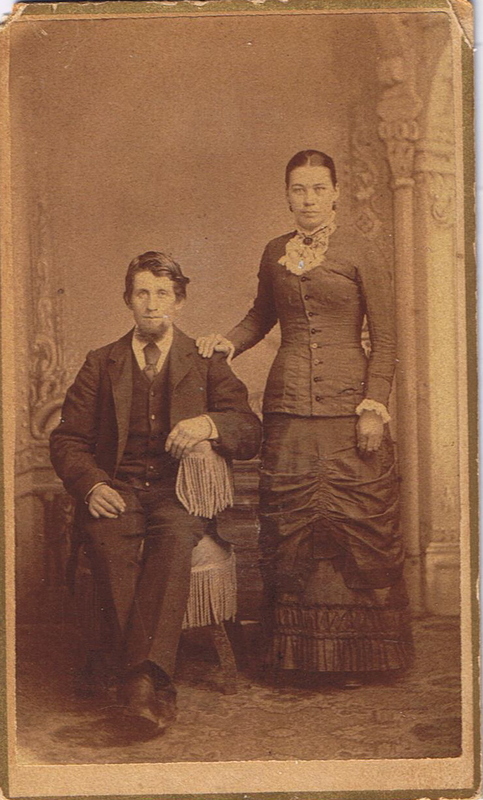 George Harrop married Mrs. Mary Andrews in 1881. At some point after this George, with his new wife and his son, moves to Franklin County, Indiana. Perhaps there were too painful memories of all the family members who have been laid to rest. 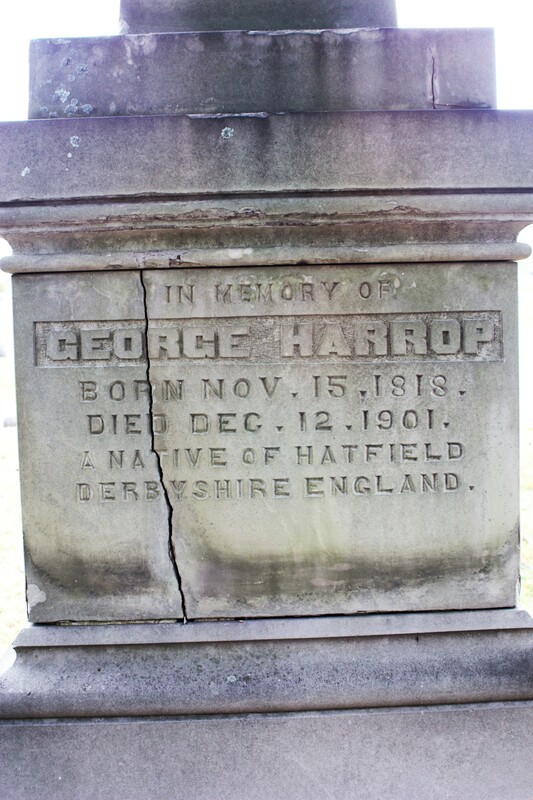 In memory of George Harrop, born November 15, 1818, died December 12, 1901. A native of Hatfield, Derbyshire, England. 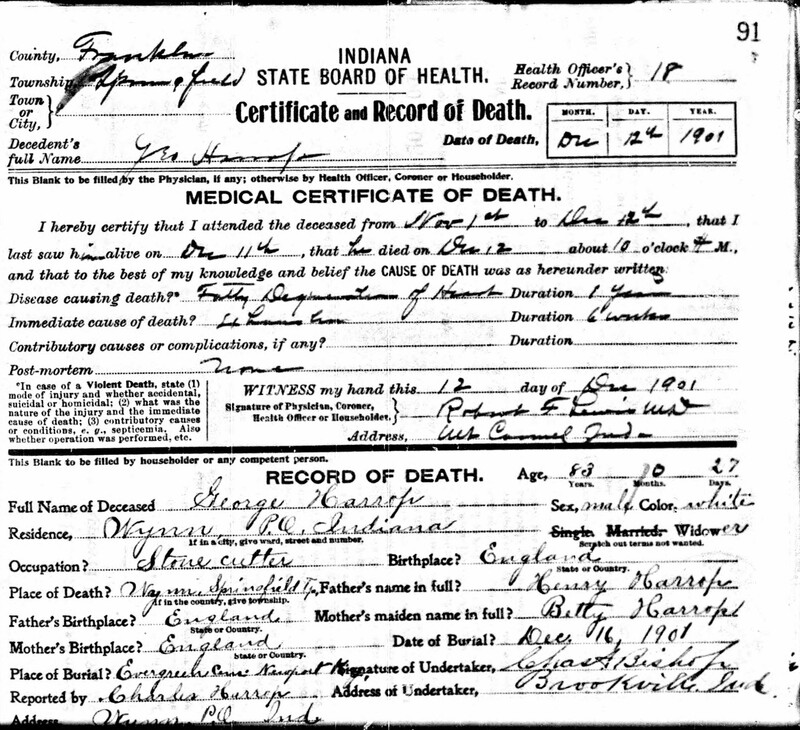 George Harrop died December 12, 1901, of heart disease in Indiana. He was 83 years and 27 days of age. According to his death certificate his parents were Henry and Betty Harrop, both born in England. His birthplace was England and occupation a stone cutter. 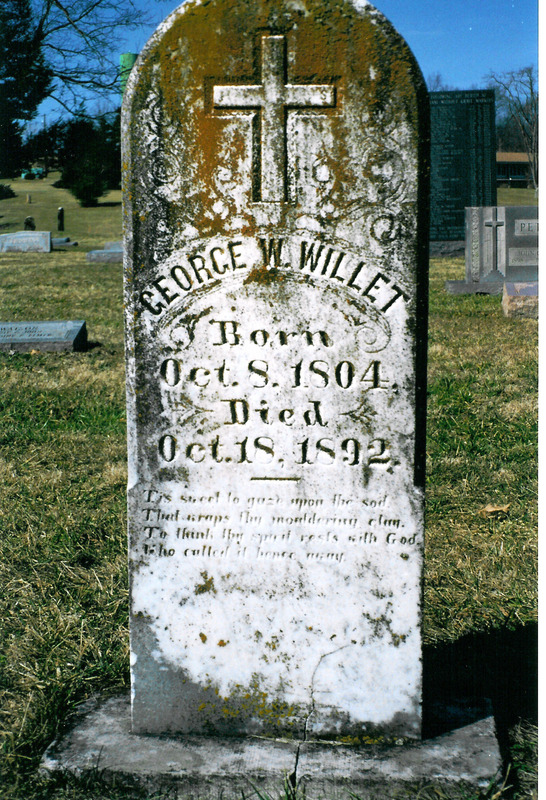 He was buried December 16, 1901, in Evergreen Cemetery, in Newport, Kentucky. His son Charles was the informant. 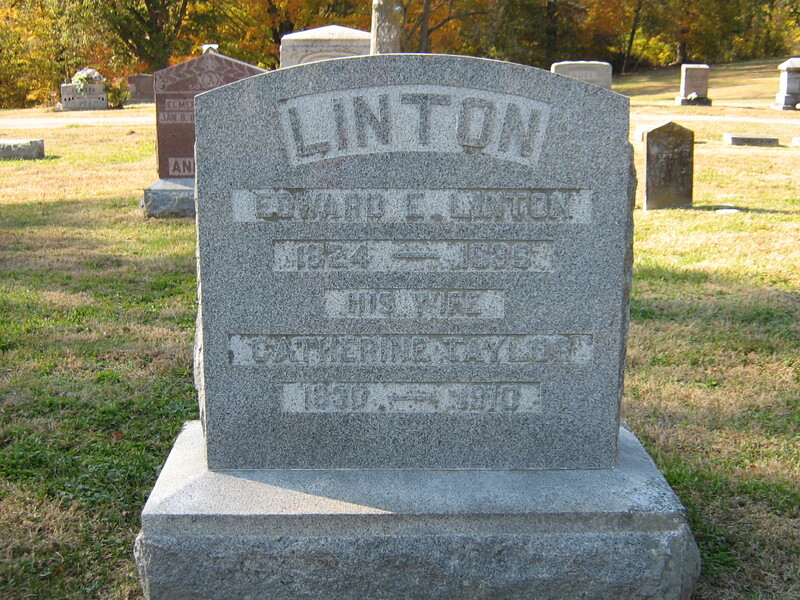 His obituary was found after the new year of 1902. I’m not sure why it took so long to reach the paper. Perhaps the Christmas season? 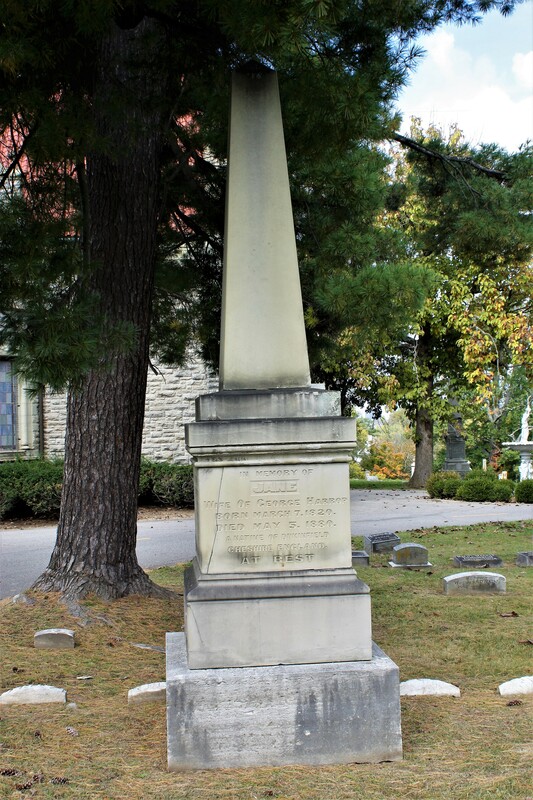 George Harrop was born November 15th, 1818, near Ashton Under Lynn, England; died at his home in Springfield Township, Franklin County, Indiana, December 12th, 1901, at 10:30 a.m., aged 83 years and 27 days. 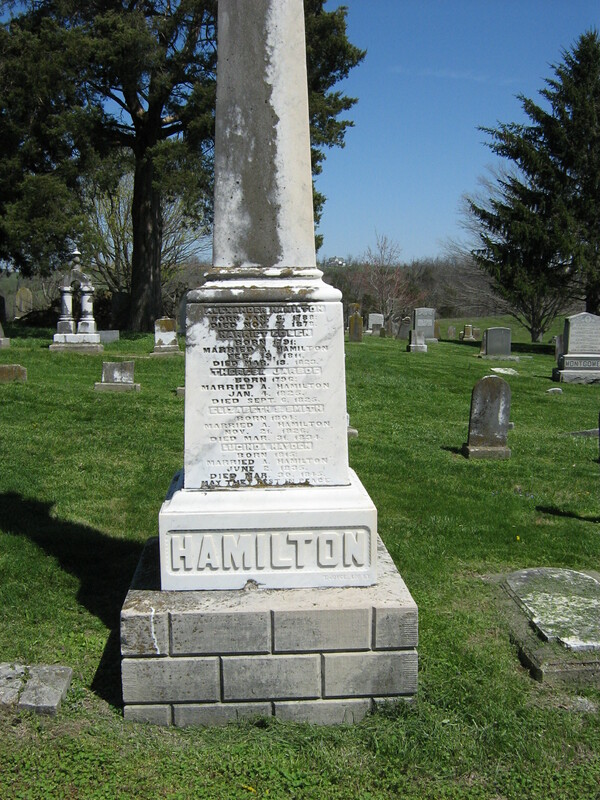 He married Miss Jane Buckley in England, January 27, 1839, and moved to America in 1841, making his first home in Cincinnati, Ohio, where he lived for several years, working at his trade of stone cutter and finisher. 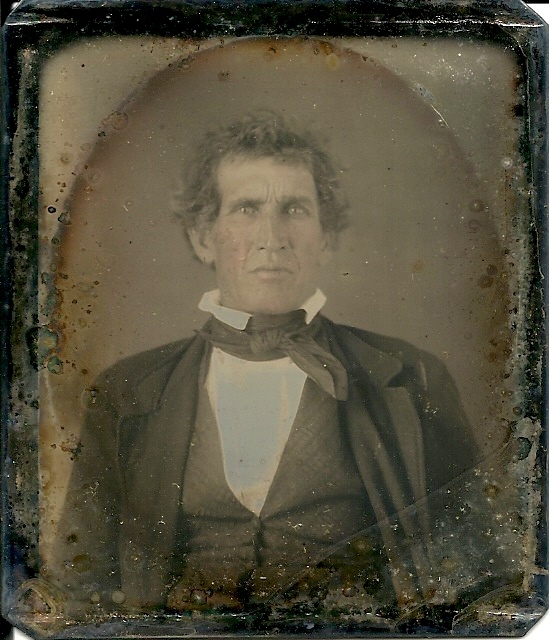 He then moved and permanently settled in Newport, Kentucky, where he lived for about forty years. His marriage was blessed with a large family of children; an even dozen worthy scions were the fruits of his matrimonial bliss. This large family was not left to him to cheer his old age; they were called home successively until all were gone but the baby boy, Charlie. 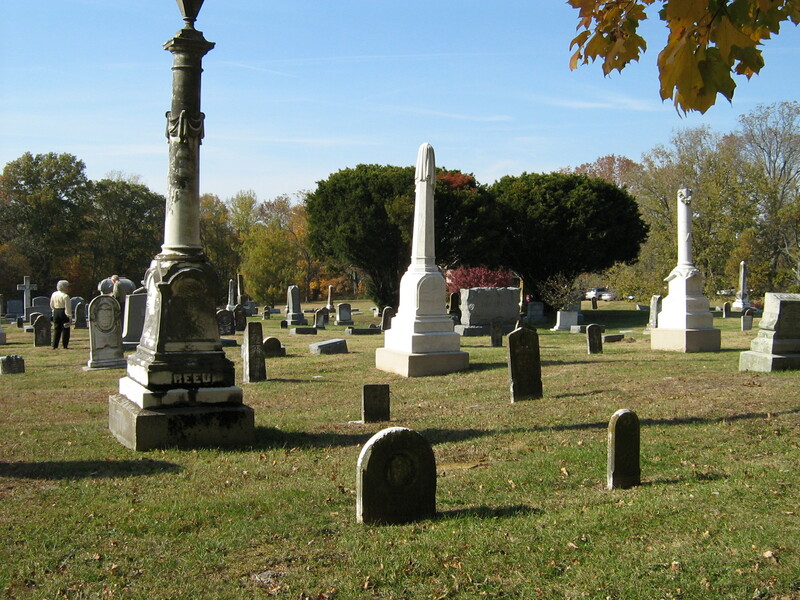 The tension being too strong, the faithful wife and mother followed on May 5th, 1880. Then the old man and little son were lonely indeed. 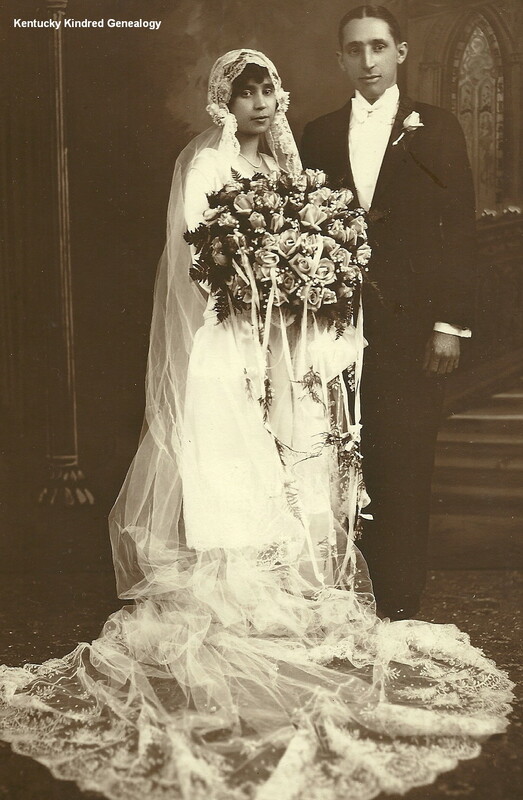 On September 27, 1881, he married again; this time Mrs. Mary Andrews was chosen. Two years later they concluded to leave their Kentucky home where so much joy and sorrow had confined. 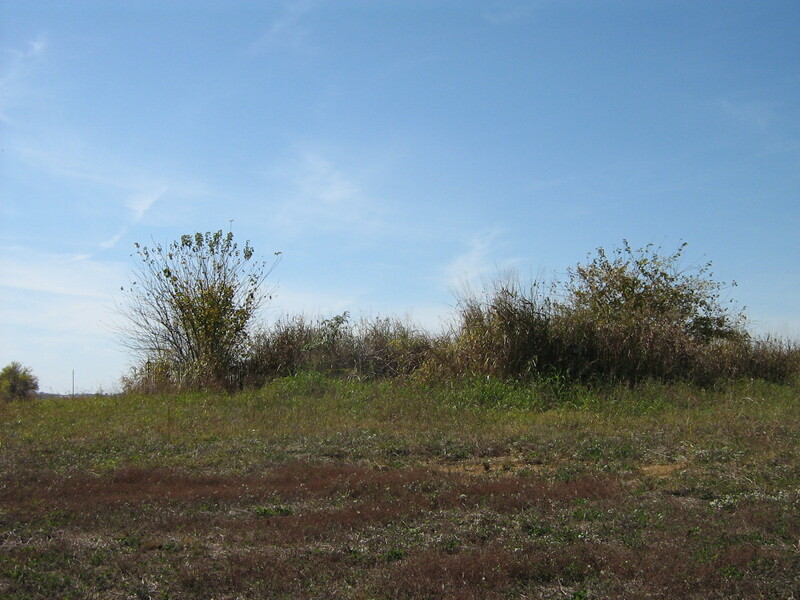 He purchased and moved to the farm where he died. Here he lived a pleasant and quiet life for 13 years, when the death angel again knocked, and the good wife was called, on the 28th of January 1896. Again, he was left alone. 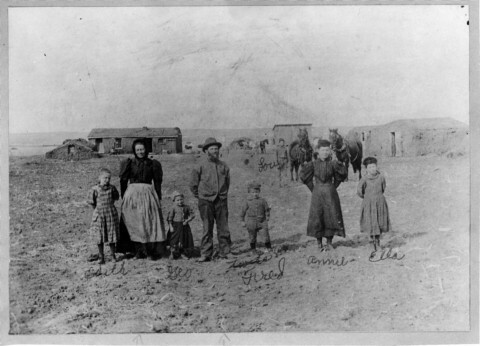 Soon after this a new daughter was introduced to his home as Charlie’s wife, Emma, seemed particularly adapted to his comfort and happiness and left nothing undone that would add one little drop of comfort to his old age; the affection was mutual, and his latter days were enjoyed as among the happiest of his long, long life. Mr. Harrop, I believe, never allied himself with any church but always read his Bible and prided himself on a strictly honorable and temperate life; for fifty years he never tasted a drop of anything that would intoxicate. His monuments are left all over our large western cities in the shape of beautiful and artistic work in stone and marble front buildings. Let us hope and pray that his works have been approved by his Creator, and that his many good deeds have earned for him an eternal home in that Haven of Rest with God’s elect. George Harrop’s will was written in March of 1901. In it he bequeaths his son Charles $10, and leaves everything else to his daughter-in-law, Emma. 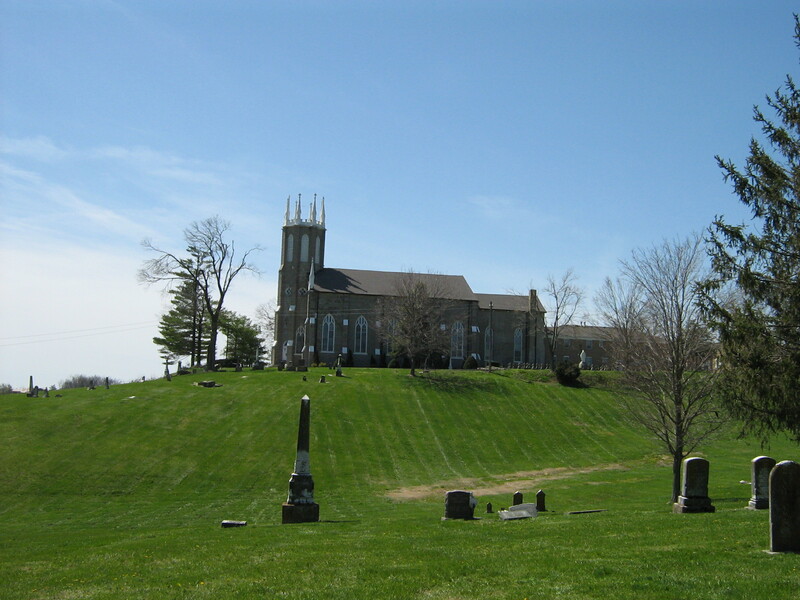 Charles and Emma are both named executors, but she has the bulk of the estate to use as she wishes. Perhaps Charles wasn’t good with money? And what of Charles Edwin Harrop? 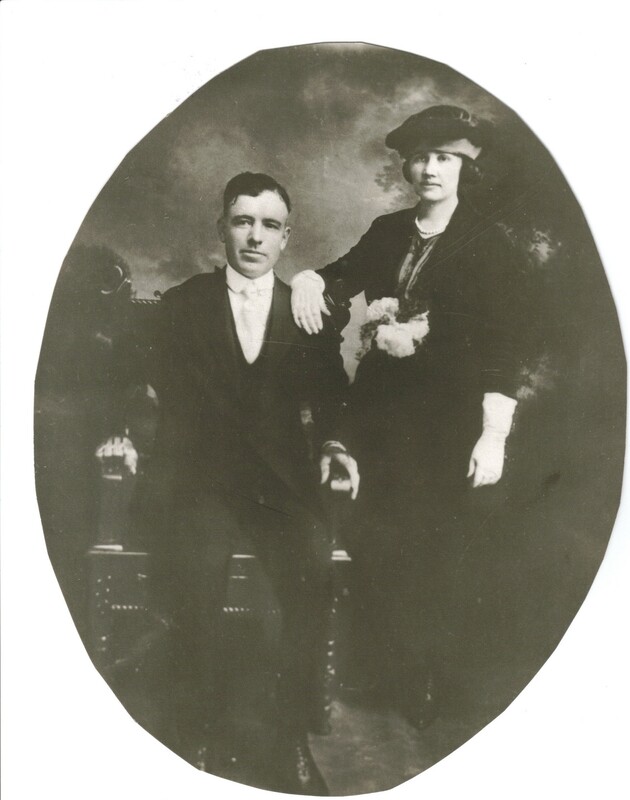 June 16, 1897, he married Emma Elizabeth Kuller, and in 1902 the couple had a son, Clinton Elmer, and a few years later, a daughter, Cora. George and Jane Harrop did not live to see their two grandchildren. 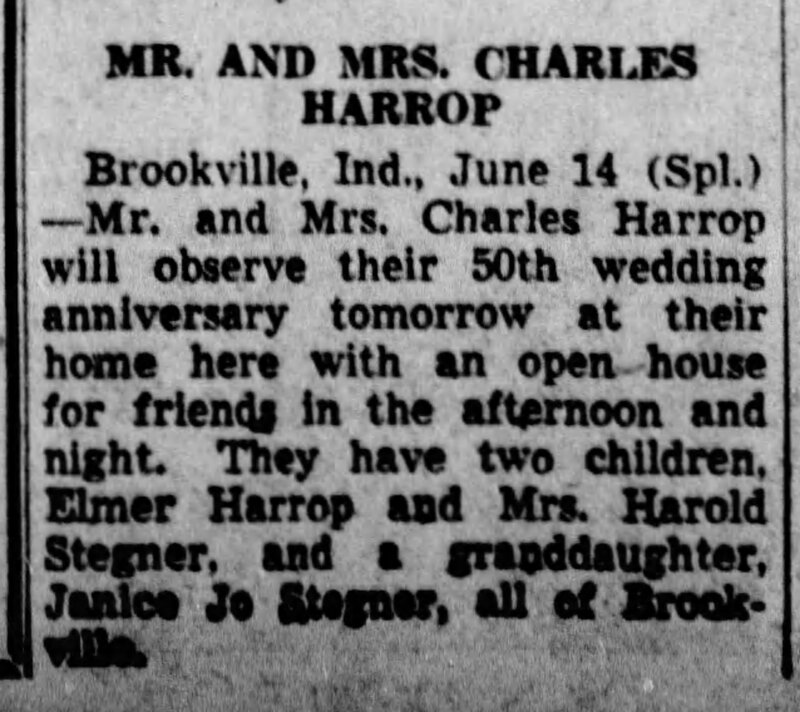 Charles and Emma lived to celebrate their 50th wedding anniversary in 1947 and lacked only six months of celebrating their 60th anniversary due to Emma’s death on January 3, 1957. 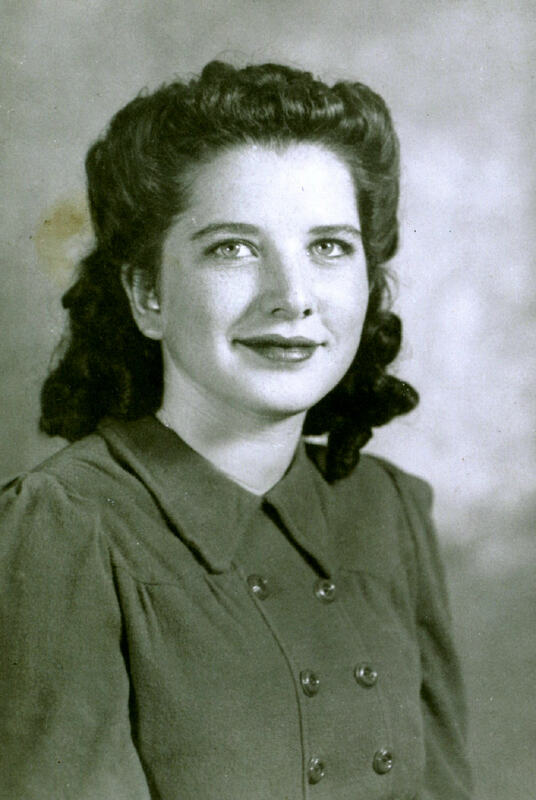 She was 88. Four years later Charles passed away at the age of 98. During his 90’s he received the yearly birthday greeting from the local paper.